Our spy and surveillance line of products are available for every walk of your life. 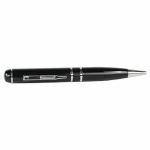 Whether you choose the Telespy Intrusion Alert System, the Pen camera, or the digital phone recorder these products are sure to help with all your spy needs. Telespy: Intrusion Notification System- The Telespy™is a clever and reliable combination of a telephone, a motion detector, and a microphone. The Telespy is an ordinary looking telephone that doubles as a monitoring system. Simply enter any phone number you want the unit to call and turn the motion sensor switch to on. Should motion be detected the phone will dial the number you programmed in and upon answering you will be able to listen to the intruder and see if it is friend or foe before contacting the police. The listening period is about 30 seconds, the the Telespy will disconnect and instantly re-arm itself to detect movement again and again. Telespy operates from any phone line, requires no installation, and is completely portable. With no monitoring fees or false alarms. Pen Camera:Put in your shirt or coat pocket and record 2 hours of video. Connect directly to view video on your computer. This digital pen can also be used as a thumb drive. Save files from somewhere else and bring to your computer. Easily download to computer via high speed USB. Conduct covert surveillance - These spy cams can be used for many covert situations. P.I. 's, Detectives, Under Cover ops. Can also be used for fun! 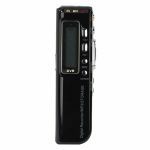 Digital Phone Recorder: When serious evidence recording, interviews, and note taking require only the best, the DPR-864 is the only game in town! Features exclusive to DPR-864 are 3 recording settings (HQ, LP, SP) to get the most out your favorite recordings.